Citroen Nemo comes from the house of Citroen, a reputed French brand known for producing world class vans. 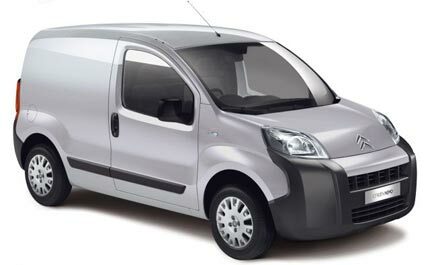 This light commercial vehicle (LCV) is the latest addition to a long list of best sellers from Citroen, which includes Berlingo, Jumper and Jumpy. Essentially, Nemo is positioned as an entry-level LCV. Although smaller in size (3.86m in length), yet with a load volume of 2.5m3 and payload capacity of 660kg, Nemo surely ranks higher in terms of commercial value. The 1.4 litre HDi engine, which gives out 70 hp, is an ideal configuration for an inner-city travel. This also makes it a perfect van for small traders who have a large inter-city clientele to cater. The 5-speed manual gearbox is more than adequate for urban driving. The best part about Nemo is its low emissions, i.e., 109g of C02 per km for 4.1/1000 km (diesel). The sliding doors for access to rear seats are both comfortable as well as stylish. Additional headroom is another positive that is hard to find in any of its competitors. With a host of comfort and safety features, it’s no surprise that Citroen Nemo is among the best selling vans in the country. Got a Citroën Nemo to sell?